"If you want a sucker that bad, I've got something for you..." Joji looks like a violent gangster, but he's actually a kind and caring person. Yuu, on the other hand, makes a living with his body. Ever since he found Yuu beaten in an alley, Joji can't say no whenever the boy begs for food or money. Joji is worried about Yuu and makes him promise to find honest work. But, despite his promise, Joji finds Yuu trying to pick up customers again. Yuu doesn't value his life no matter how much danger he's in, and Joji finds himself acting impulsively...! 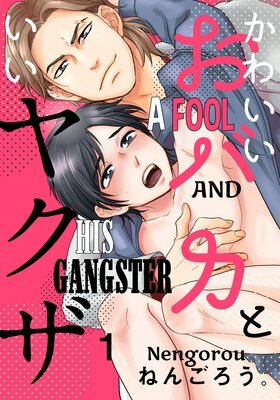 With a caring gangster and a boy of questionable virtue, this is a romantic comedy with a touch of danger! During Kouta's high school days, when he'd spend his time getting into fights, he had a friend he could trust called Daigo. He thought they'd always be together, but a dark cloud fell over him; once they graduated, Daigo disappeared. Though their parting was sudden, their reunion is as well. Kouta, who had moved on and found a regular job, hears a familiar voice when his boss takes him out drinking. 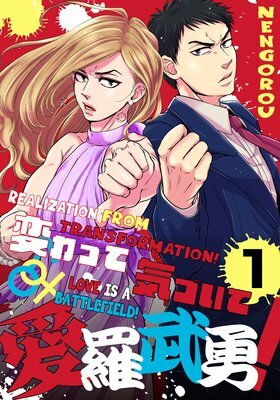 He sees his best friend working as a waitress in a crossdressing bar... What does Kouta find out about Daigo's disappearance after he chases him down...? Do the strongest partners equal the strongest couple!? This is a story about pure, happy love that wavers between friendship and something more!